After reading “Elementary” writer/producer Robert Hewitt Wolfe’s tweets one week during an episode of the show, I was powerfully compelled to reach out to him and get down to the nitty gritty. Obviously, ScarletSherlock and I had a slew of questions that could not be accommodated by Twitter’s draconian 140-character restriction. Well, he didn’t want to just email back and forth – he actually wanted to talk. On the phone! In 2015! It was rather refreshing. 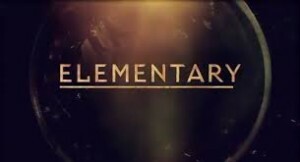 Quick thumbnail background information: The brainchild of Robert Doherty, “Elementary” premiered in the United States on CBS on September 27, 2012. The show stars Jonny Lee Miller (“Hackers,” “Trainspotting”) and Lucy Liu (“Kill Bill,” “Charlie’s Angels”) and locates a contemporary Sherlock Holmes in contemporary New York City. Also features Girl!Watson and a turtle. The season finale airs on Thursday, May 14. At that point, it will have presented 72 episodes, more than any other television or film incarnation of Holmes. I interviewed Wolfe at the end of April, and I’m writing this article in advance of the showing, so there shall be no spoilers. First out of the gate: Wolfe is very friendly and very generous. He gave me an hour and half of his very busy time to talk about writing, television and Sherlock Holmes. I didn’t know much at all about writing for TV, and I’m pretty certain that Wolfe is the first person I’ve interviewed who is currently writing for a major network show. He was extremely patient with my abject ignorance. We started off with the usual grounding information, and I was immediately surprised by Wolfe’s answers. I asked how he became involved with “Elementary,” and I foolishly assumed that he submitted a script or something. Nope: The show was actually hiring writers for staff positions. The series Wolfe was working on in 2013 “ended around Thanksgiving, and I interviewed for ‘Elementary,’” he explained. “When a show ends, you immediately start looking for work. I knew Rob [Doherty], so it was a friendly room. I had seen a handful of episodes. In a week, I did my homework.” Writers need to be approved by the studio and the network, and after he met with Doherty and Craig Sweeny (the show runners), he was hired on for the final episodes of that season. He was rehired for the current season. Wolfe said he grew up reading the Canon – “I think Sherlock Holmes is one of the 10 great evergreen characters in English literature. Basically, a wonderful and enduring character. It’s terrific to be able to write him, and Watson as well.” He asserted that Arthur Conan Doyle had an “indelible effect on the way we tell stories.” What could I do but nod along? But what about writing Holmes for television? My only experience with this was sending questions to David Shore years ago, to badger him about his Holmesian creation, Gregory House. Shore was certainly creating a wild take on Holmes; Doherty is attempting to play in Arthur Conan Doyle’s sandbox a little more literally. As a writer, Wolfe is working in Doherty’s sandbox in ACD’s sandbox. That’s a hell of a lot of sand. I asked how long a writer is typically given to flesh out the script at this point. “In an ideal world, you get two weeks,” he said. “In the real world, you never get that long. You create the first draft – the writer’s draft – and that goes to Rob and Craig. They are the final voice of the show. And some of my episodes have had a lot of changes by them. 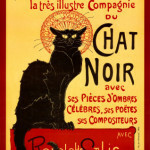 The Kitty scenes in ‘Just a Regular Irregular’ were extensively rewritten by Rob because he was still finding the character. She was still being defined. Rob took a big pass at a lot of those scenes. He did some fairly significant work.” However, Wolfe said in many cases, Doherty is happy with the writer’s draft and a “recognizable version of what the writer gives to Rob” ends up on our television screen every week. The supporting characters (like Captain Thomas Gregson and Detective Marcus Bell) are one of the distinguishing elements of “Elementary.” “These characters are not a bunch of keystone cops,” said Wolfe. “They act like cops who are competent. Our cops are good, but Sherlock is a genius,” he admits, as if to excuse the fact that poor Bell never really gets one over Holmes. “We have one person, a full time employee who is a former NYPD detective, Jim Nuciforo. All of the police stuff is vetted by him. We also have a coroner and a medical consultant that we use frequently. And thank God for the Internet!” Wolfe did confirm that when Holmes is called upon to have his wall covered in equations and mathematical business, it’s authentic and correctly researched. I happen to enjoy “Elementary,” and I try to watch in real time every week (God bless DVR). The show is not without faults, but overall I think it’s a quality program and there are some bits that are really well done. I have seen precious little written negative criticism of “Elementary” that has struck me as particularly useful or interesting. If you don’t like police procedurals, watch “The Big Bang Theory.” If your beef is that “This isn’t Holmes!” with no support for that ridiculous claim, I roll my eyes and hope you find the entry on “opinion” in the dictionary. So far, there’s only been one assertion that I thought worth my time to lay before Wolfe and get his reaction. Considering Canonical compliance, Wolfe continued, “Doyle was writing newspaper stories. Little puzzles. In Victorian times, people were culturally constrained in terms of talking about feelings. We’re writing for a modern audience. For an American TV show. There are other requirements. The audience would like us to have them talking more about their feelings,” said Wolfe with … feeling. We both agreed to completely avoid talk of “shipping” and whatnot. “We’re trying to entertain and engage people in a very specific way,” he offered. NOTE: Tonight, at 10 EDT, I will live-tweet the season finale of “Elementary.” Please join in! Next Next post: William Gillette Sherlock Holmes film coming to blu-ray! This topic contains 1 reply, has 2 voices, and was last updated by ScarletSherlock 3 years, 11 months ago. This is so exciting. Huzzah Chat! I still want audio of the laughing. Mr. Wolfe sounds like a really interesting person and I love his Canon love. Kitty Winter was so so great on Elementary. All the kudos to the writing team for that. I cracked up at the lines about shipping. LET’S NOT EVEN GO THERE.